Hiring a babysitter is important for all parents, as there will inevitably come a time when they need to run some errands without their children or just need some time to themselves. However, knowing what rate to pay a babysitter can be somewhat challenging, especially for new parents, or for parents looking at a new babysitter. Paying a babysitter too little means she likely won’t come back, or will do a poor job. However, many families cannot afford to pay a babysitter a large rate and be able to afford to hire her very often, so finding a good rate is essential to keeping great child care. Unfortunately, there is no clear cut answer as far as what the right rates are for babysitters. The hourly rate depends on a number of factors. 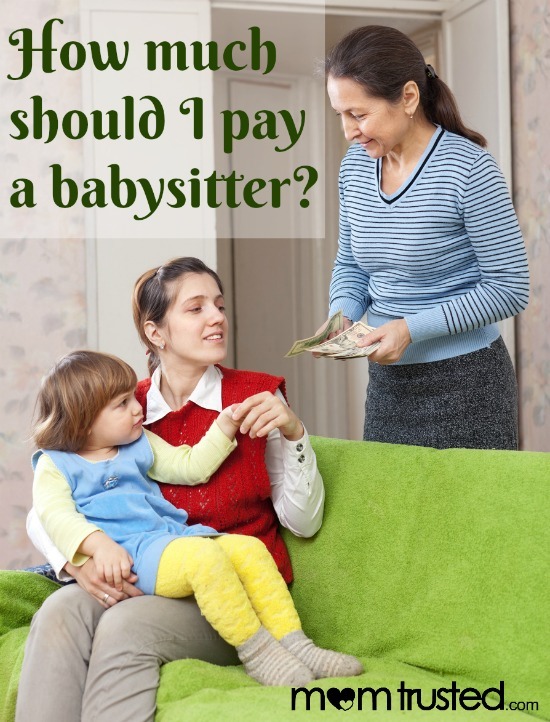 A good way to get an idea of what to pay your babysitter is to ask around. Ask your friends what they pay their babysitters, and consider asking your babysitter what rates she charges other parents. This should give you a general guideline of what the expectations of the area are. Another factor that plays heavily into the cost of a babysitter is the number and age of your children. One child is not as much work as three, and the younger the children and the more care they need, the more you should pay. You don’t need to double the hourly rate for each child, but you should add a couple dollars more per hour, depending on how much additional care is needed for each child. If your child has any special circumstances that require extra care, like administering medication, this should increase the amount you pay the sitter, too. Also, consider what time you’re hiring your sitter for, and how she’s being inconvenienced by your services. If you normally have a sitter in the afternoon, but request for her to watch your child on a weekend until midnight, consider paying her a bit extra for her extra time. Another factor that plays into hourly rates is the age and experience of your sitter. If you have a young babysitter, under fifteen, it’s acceptable to pay her a lower rate, often 4-5 dollars an hour, depending on the number of children and so on. Older teenagers likely require a higher rate, as they often have more experience, and also can find work at other jobs for more money. An adult babysitter, with several years of child care experience, likely will expect an even higher wage, especially if they’re making a living off child care. Finally, consider the babysitter’s expense in doing the job, and just how demanding the job is. Is your babysitter walking across the street to provide service to you, or is she driving thirty miles from out of town? Is your babysitter merely heating up some dinner for your children and sending them to bed, or is she expected to entertain them for hours? These factors should also weigh in when deciding an hourly wage.